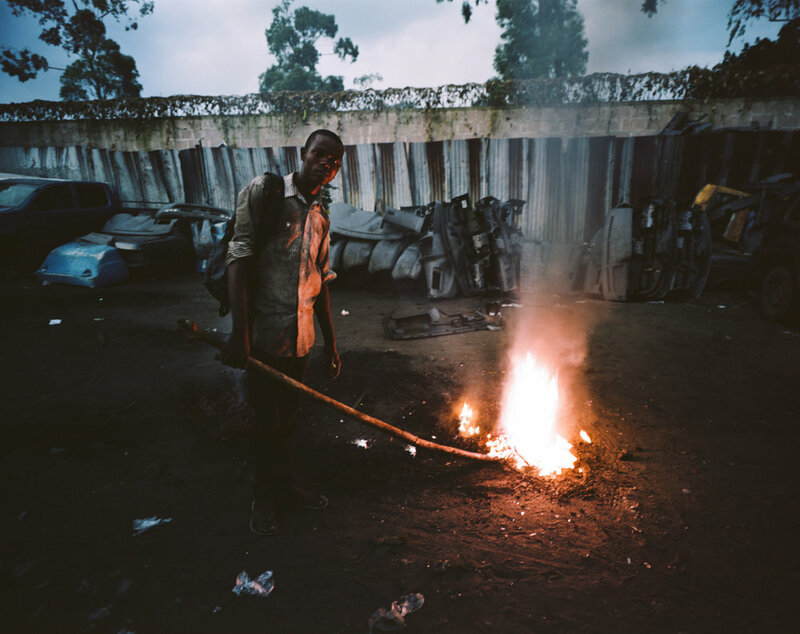 Les mitrailleurs | is a photographic serie that enlightens the people working in a scrap market in Kinshasa. The District 1 in N'djili - one of Kinshasa's 24 boroughs -, is the Scrap Market. These N'djilians dream of elsewhere, but meanwhile it is on elsewhere-bound wrecks they're working. "There's a history between N'djilians, resale and mechanics". And they're resisting, despite the eviction attempts, lack of public support and their second-row position on Lumumba Blvd. Electrical resistance, joint resistance, a resistance to life's tricky vicissitudes, resistance as a means of survival.